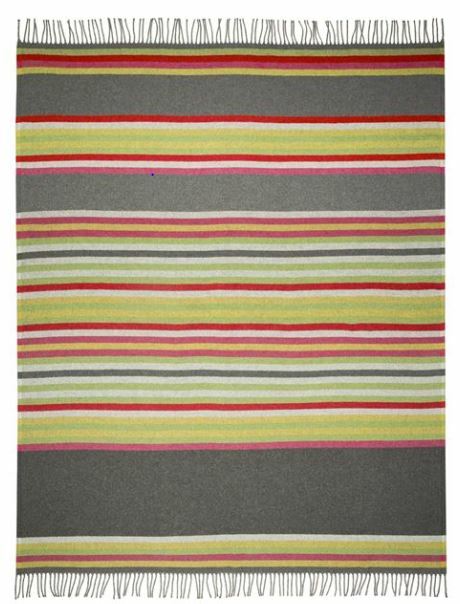 A vibrant multi-coloured stripe throw woven from a soft blended yarn. In rich autumnal tones of earthy ochre and forest with highlights of grey and fuchsia pink. this contemorary interior striped throw is finished wih a fringed edge.